Are you embarrassed by wet spots? Are you prone to sweating heavily? Then the answer is a good antiperspirant. Below we reveal our picks for the best antiperspirants. Antiperspirants, as opposed to deodorants which are designed to control body odor, are designed to reduce sweating. They are defined as a drug and regulated by the FDA because they alter our normal body function. In addition to the OTC options listed here, there are prescription options for the most severe cases. Aluminum, or often in the form of aluminum-chloride, is the active ingredient in most antiperspirants. When you apply it on your underarm, preferably right before you go to sleep, the aluminum enters your sweat ducts and plugs them – thus preventing you from sweating. And since they prevent sweat they also reduce body odor as well. For more tips on how to get the most out of your antiperspirant see our antiperspirant advice guide. I have personally used Maxim and can honestly say it works which is why we selected it as the best antiperspirant. Just read the reviews on Amazon and the vast majority agree that this product works with some even calling it a miracle in a bottle. Maxim Antiperspirant uses Aluminum Chloride 15% as its active ingredient. This roll-on comes in a 1 oz bottle that will last about 2-3 months with regular use. It costs about $15 which is the most expensive per ounce on our list. 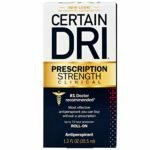 I have personally used Certain Dri as well and it works quite well, but maybe not quite as good as the Maxim antiperspirant. The main advantage of this one is the price. At about $7.50 per 1.2 oz bottle (at $15 for two), it is less than half the price of Maxim. It features an active ingredient of Aluminum Chloride 12%. This roll-on should last around 3 months with regular use. Users agree that this roll-on antiperspirant works great, but it seems to irritate and burn more than others on this list thanks to Driclor’s active ingredient of Aluminum Chloride 20%. It comes in a 70 mL size (or 2.53 oz) which should last about six months. This product is primarily available on the European market and actually can be difficult to find at times in America. The price can vary greatly between $19-$40 as it is sold by various sellers on Amazon.com, some of which are located in England, so pay attention to the seller you are buying from if you make a purchase. Selling for $19.99, SweatBlock Antiperspirant Towelettes comes with 8 pre-soaked towelettes with each application designed to last up to 1 week each providing you with up to 8 weeks or protection. The active ingredient is Aluminum Chloride 14%. SweatBlock is the best selling antiperspirant on Amazon, but it is also the most expensive on this list for how long it lasts and the user ratings are not as good as our first or second choice on this list. 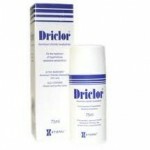 If you need an antiperspirant spray instead of roll-on then this is the product for you. 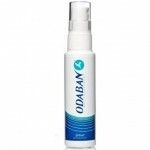 Odaban features Aluminum Chloride 20% as its active ingredient. It comes in a 30 mL (1 oz) bottle which should last about 2-3 months. At about $10.75, it is cheaper than Maxim, but a little bit more expensive than Certain Dri. Make sure you buy a strong OTC antiperspirant like listed in our list. Apply the antiperspirant right before you go to bed. This has been proven to be the strategy that works best because you sweat less when you sleep and this allows your sweat glands to get plugged. In the morning you may use your regular deodorant or a deodorant/antiperspirant option. You may find that you only need to apply every other night or less to be effective for you. You might find that gently massaging it into your skin is helpful. Only apply antiperspirant when your skin is completely dry. If you need to you can use a hair dryer on the cool setting to assist in the drying. This will help prevent irritation and stinging. Never apply it to an area that you just shaved. Doing so could result in serious burning and irritation. Sweaty face sufferers can apply a little bit along your hairline, but first experiment with a small patch of skin to test for irritation. If you suffer from sweaty feet, try an aerosol product. Spray it on the bottom of your feet and in between your toes. If OTC applications do not work for you, there are other options including doctor prescribed antiperspirants and botox injections.